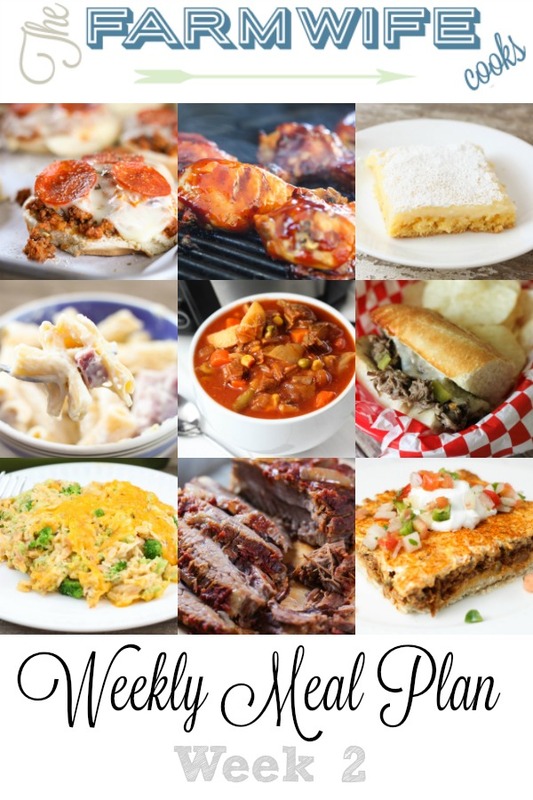 Welcome to this week’s meal plan I have a great group of recipes for you this week including Ham and Cheese Pasta Bake, Deep Dish Taco Squares, Cheesy Chicken Broccoli Rice Casserole, Vegetable Beef Soup, Pizza Burgers, Grilled BBQ Chicken, Slow Cooker Beef Brisket, Ham, Potato and Cheddar Quiche, Crock Pot Cinnamon Roll French Toast, Italian Beef Sandwiches, Crock Pot Dr. Pepper Pulled Pork, Animal Cracker Funfetti Cake Batter Dip, Veggie Tortilla Roll Ups, Gooey Butter Cake and Dirt Pudding! 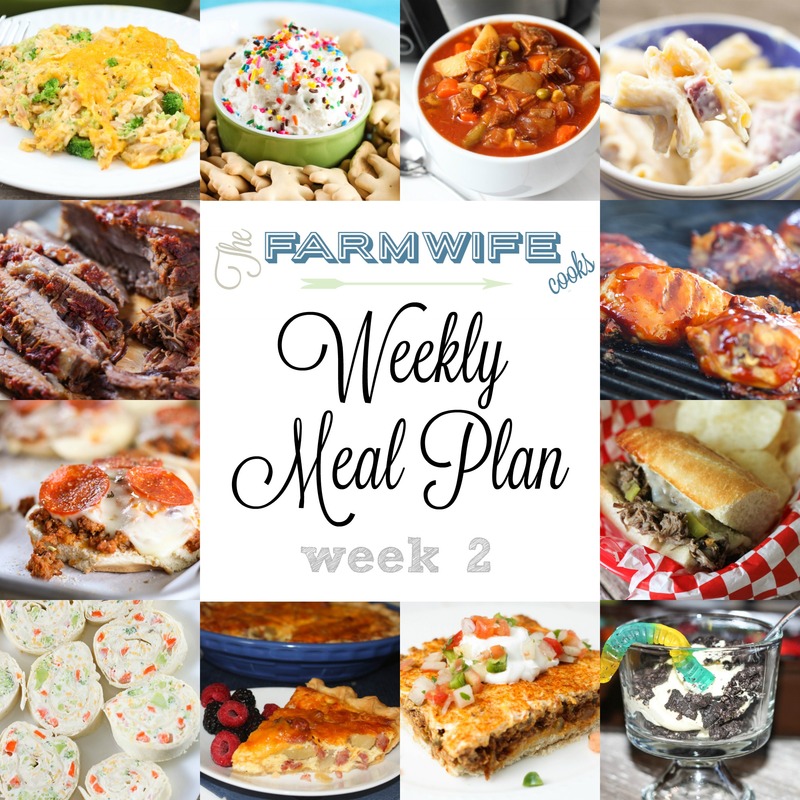 NEW TO THE FARMWIFE COOKS MEAL PLANS? If you are new to my meal plans click here to learn more about what to expect and what not to expect. To get the printable recipes all you have to do is click the recipes titles below. Click here to see last week’s meal plan. Monday: Ham and Cheese Pasta Bake and peas. Saturday: Grilled BBQ Chicken, Coleslaw or Potato Salad and Corn on the Cob. WANT TO SAVE THE WHOLE LIST? USE THIS BUTTON TO SAVE THE ENTIRE LIST.